Mark Stevens of the Veteran Bike club is trying to organise this event. It's a must do if only for the scenery. Should be a great weekend. He's setting up a web site and I'll keep the info coming if he doesn't come here direct. are you familiar with the concept of The Hero Ride? The famous one is L'Eroica in Tuscany. I am planning a Scottish version next June 7-8th 2014. 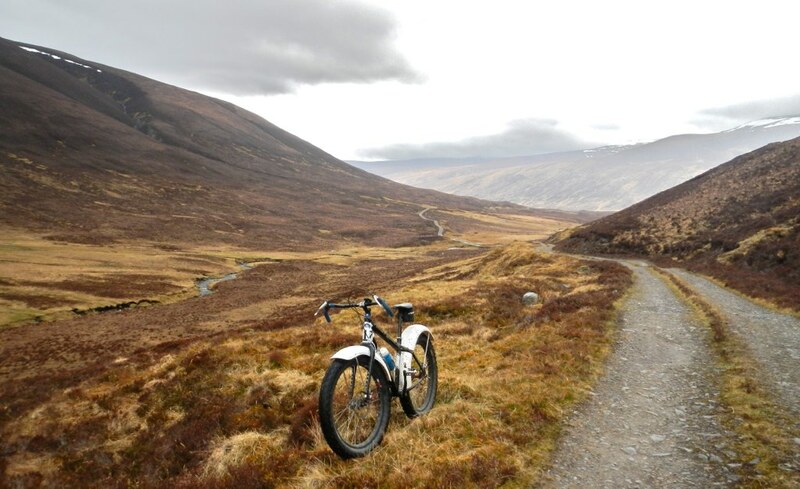 Starting in Strathpeffer and going 60 miles mostly offroad through wild uninhabited glens to Ullapool via Croick. There will be water stops and a lunch stop about half way with fresh Scottish food. The catch is, in true Hero style, you are requested to ride an ancient bike. Wearing tartan or tweeds. Hero points will be awarded for the most stylish ensemble of bike and rider for a cool prize to be awarded at the evening Ceilidh in Ullapools' famous Ceilidh place. Overnight camping or hotel and then back over the next day. 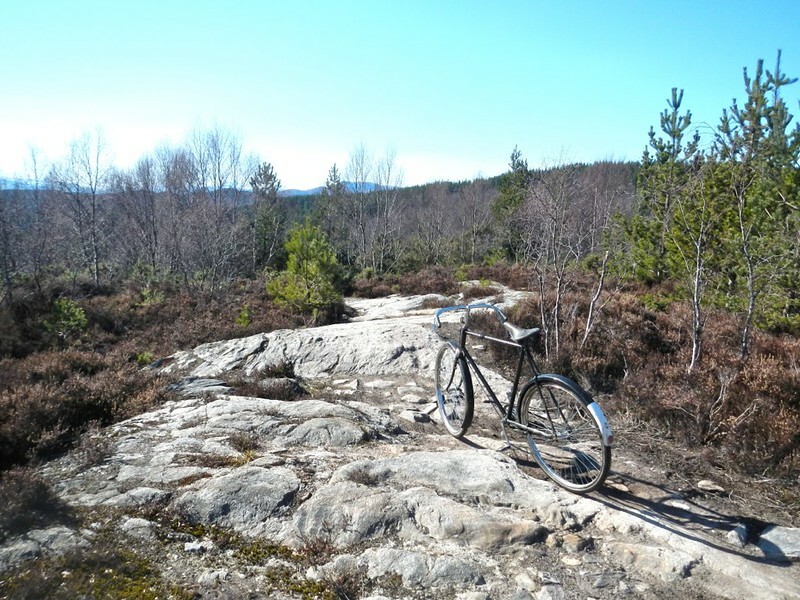 There will be a 16 mile Family and Antique bike ride up to Little Garve and back. There is the Victorian Day village festival ongoing in Strathpeffer on the 7th so the short ride will be able to enjoy that for the afternoon and then have the option of driving over to Ullapool for the Ceilidh. BIKES. The suggested cut off date for bikes is 1987. This follows guidelines laid down years ago by other Hero rides. No carbon or aluminium frames, no suspension except seat posts, no clip less pedals. So old roadsters, old road bikes and early steel MTBs are suggested but to start with these rules will be flexible. CLOTHING. No Lycra please. Muted toned down retro woollen tops, tartans and tweeds are suggested to keep the Heroic flavour. Raid your local charity shop and ride in Retro style. We are recalling the old days when races were on unmade roads and riders carried spare tubes around their shoulders and googles on their cloth caps to keep the dust out. Helmets are optional but if taking photos of your mates ask them to take them off and hide them! Leather "hairnet" helmets are popular. TERRAIN. Forestry fire roads, Tarmac lanes, Estate Land Rover tracks, a field, stream crossings of various sizes, hill paths through rugged Glens. 3 main road crossings A852 Garve to Ullapool road. It's been ridden in 7 hours on a suspension MTB. CAMPING. There is a campsite right on the seafront in Ullapool a stones throw from the Ceilidh place. Plenty of other accommodation. Hotels, B&B etc. There will be transport for your camping gear from Strathpeffer. REGISTRATION. Cost has yet to be finalised but about £50 per head. Edit: Looks like it's on. He'll be looking for a couple of volunteers to help with organising it. Last edited by epicyclo on Mon Oct 21, 2013 12:11 am, edited 2 times in total. Now that interests me and I have several mtbs and non mtbs that fit the bill. Campsite at ullapools quite good too. Ooooh! Now that could be interesting. sounds like a ride for the MTB rather than the road bike, making the pre 87 a little tough.. Probably easy enough on a roadster type if you don't have an old enough MTB Gmac. As mentioned in the other place I'm noting interest in this, though riding in tweeds on a hot day in June could be sweat inducing! Any old British roadster will be more than capable, and you can pick one up cheap. I'll be using this 28" wheel job. There's a few minor modifications needed that I was doing anyway - a better front brake being one. 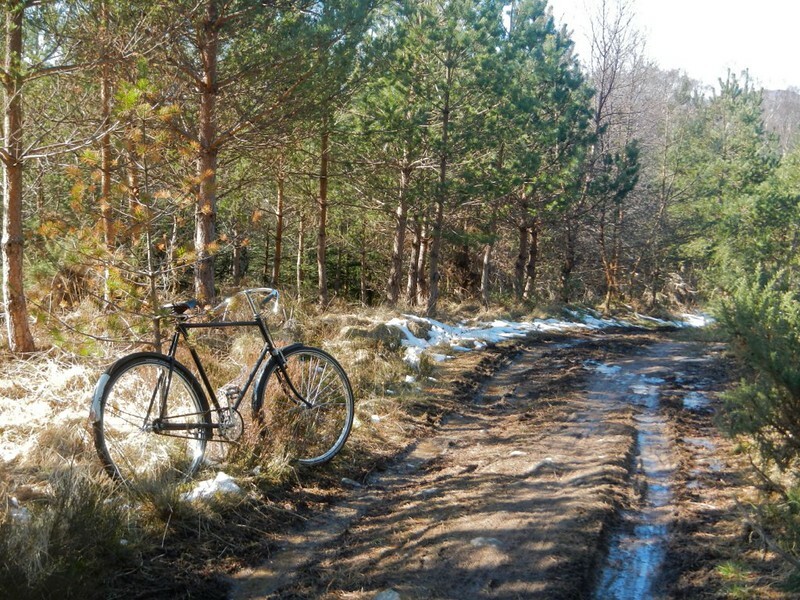 I've ridden it around the 'Puffer track and extensively on gravel roads. It's no good on technical rocky stuff, but it's perfectly ok on anything else (within my limitations). How technical is the terrain likely to be, is it mtb territory or no worse than landrover track ? This looks really cool, sort of tribute to the almost forgotten British 'rough stuff' tradition of riding that got eclipsed by MTB? I should point out that the Retro Ronde Van Vlaanderen is going to be just one week later (14-15 June), so there may be a bit of a conflict of dates. I've ridden most of it in my youth on a SS 27x1 1/4 wheel bike and I'm fairly confident that it's ok, so it should be a breeze for an old mtb. Most of it looks like this. Anyway I don't think he'll be turning anyone away who turns up in the spirit of the occasion. Not like those Retro rides that get infested by fatbike riders with loads of excuses as to why they can't use their old mtb.